This resulted in a series of different groupings which were called The ProjeKcts – resulting in a series of releases now gathered on the Heaven & Earth boxed set. The next period of KC activity resulted in the album The ConstruKction of Light. Perhaps appropriately, for an album with the theme of building in its title, 2000’s The ConstruKction of Light has undergone the most radical change of all KC albums thus far – effectively being rebuilt from the ground up. The album is presented here in new stereo & 5.1 Surround Sound editions, along with the original mix & as a bonus inclusion, the complete ProjeKct X Heaven & Earth album, which was issued as a companion volume to the original album. 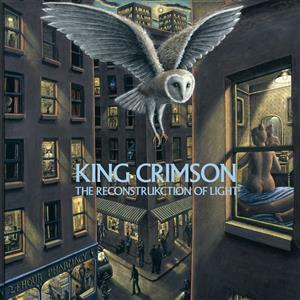 •	The ReconstruKction of Light – is the fourteenth release in the acclaimed King Crimson 40th anniversary series. •	CD features a “re-imagined” edition of the album with all drums replaced by Pat Mastelotto & the entire album remixed to accommodate these changes by Don Gunn (who mixed last year’s Meltdown: Live in Mexico set. •	DVD-a features the new mixes in hi-res stereo audio. •	DVD-a also features the album in lossless 5.1 Surround Sound as mixed by David Singleton. •	All new mixes were approved by the set’s Executive Producer Robert Fripp. •	As a bonus feature, the complete ProjeKct X album – Heaven & Earth is included. •	Presented as a 2 x digi-pack format in a slipcase with new sleeve notes by King Crimson biographer Sid Smith along with rare photos & archive material. •	Continues the highly collectable King Crimson series.